Remember that nowadays IBM is just litigating (attacking) companies; we covered many examples of it. We typically see it raised above the surface only when firms refuse to pay IBM ‘protection’ money, whereupon the matter goes to court (i.e. publicly visible). In the meantime, based on the same site and the same date, HP is selling a lot of patents to Chinese patent parasites. China quickly became a major hub for patent trolls. On Friday, Ocean Tomo announced the first public patent auction under its latest platform, dubbed Ocean Tomo Bid-Ask Market (OTBA). More than 1,000 rights owned by HP Inc will go under the hammer between now and 20th October; they’re grouped into 45 separate lots across a range of mostly computing-related technology areas. The unique selling point of OTBA is evidently that it is less seller-driven than traditional auction formats, allowing potential buyers to efficiently post anonymous bids. OTBA, with its emphasis of providing service to buyers as well as sellers, may go some way toward addressing these concerns. If we see some of these HP assets come under Chinese ownership, it could be a sign that auctions, done right, may eventually find more success in one of Asia’s key buyer markets. TODAY marks exactly one week since the bizarre statement from the British government, which enjoyed misleading coverage bought/paid for directly and less directly by Battistelli’s EPO. In the previous four parts we explained the reality of the situation and in upcoming parts we’ll explain why the UPC is still going nowhere — consistent with what we have been saying for a number of years. Some words on a Web page of the British government are not enough to make the impossible (or barely possible) magically attainable. It’s worth reminding readers that the legal firm which the EPO unleashed at us for legal threats (in an effort to silence us) is itself part of the UPC's advocacy, which comes to show just how crooked things really are. 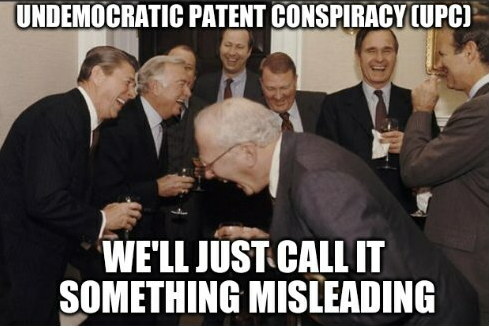 Basically, a bunch of law firms are attempting to hijack the European patent system by means of endless lobbying, lies, fake (or biased) 'news', and fake job ads (for jobs that don't exist). These are some truly malicious actors. Morals don’t exist because they have a mission and they are willing to combat opponents. Our activism is largely reactionary. Who is the UPC good for other than some legal firms? “Good news for patent trolls,” said this comment, possibly from Mr. Benjamin Henrion (FFII) by the sound of it. Several days ago Patently-O wrote about last week’s news, noting that “Europe may overtake the US as patent-litigation-central” if the UPC becomes a reality. Another way to put it is, Europe can become a patent trolls’ hub, complete with software patents and everything they currently enjoy in the US (where they file the lion’s share of lawsuits). The Unitary Patent fantasists include those who can either represent these trolls in court or represent their victims (defendants). What’s not to like, eh? Earlier today we noted that Microsoft agenda was interjected into an event that’s supposed to be about “International Women’s Leadership Forum” (here is the report about it). Well, Microsoft and even the UPC were interjected into this event. The latter subject was mentioned by “Deanna Kwong of Hewlett Packard Enterprise,” who said that the UPC “will be “fertile ground” for NPEs,” i.e. patent trolls (NPE is a euphemism). We have been warning about this for years. The last six months (since the UK Brexit vote) have led to great uncertainty for Europe’s planned Unitary Patent and UPC system, said Bethan Hopewell of Powell Gilbert. But much progress has been made with 11 ratifications so far and much work on the IT system, the Rules of Procedure and the financing. The latest news, she added, is yesterday’s announcement by the UK government that it will proceed with ratification of the UPC Agreement. “What needs to be worked on now is establishing certainty for industry so that the UPC is not undermined when the UK leaves the EU,” she said, adding that the UK’s role in the system post-Brexit remains to be seen. Deanna Kwong of Hewlett Packard Enterprise said that despite the progress made there remains a lot of “uncertainty”: “I don’t know whether it will be a more favourable forum or not … at the outset it may be a more plaintiff-friendly forum to legitimate it as a forum.” Hopewell predicted it will be “fertile ground” for NPEs in the early years. Kwong highlighted some differences between the UPC and the US system, including less emphasis on expert evidence, faster injunctions and the possibility to amend claims. “Fee shifting is a really big factor – hopefully that will be a counter-balance to the patentee-friendly aspects of the UPC,” she added. It seems like both Henrion and I noticed this at the same time. 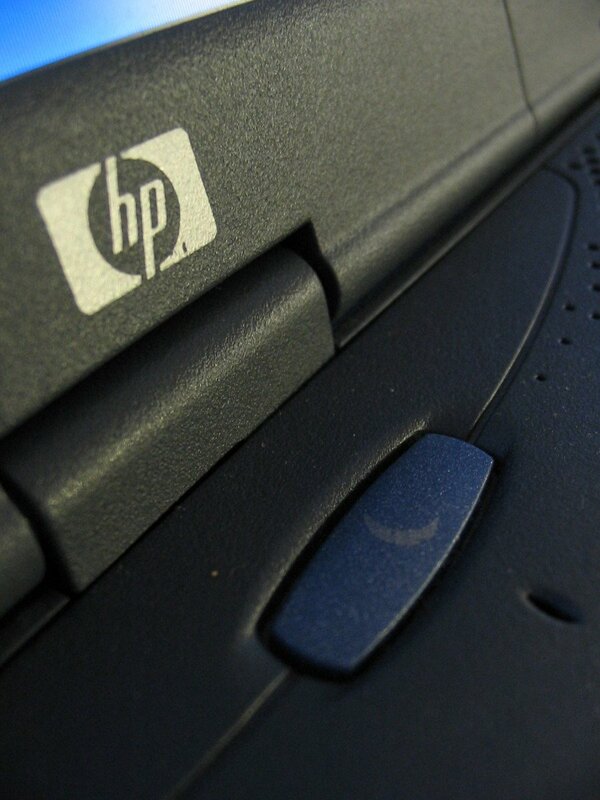 HP is admitting that the UPC would be good for patent trolls. Remember all those who used to deny it and mocked those who even dared to suggest so? “HP says EU Unitary Patent Court will fuel trolls,” Henrion later wrote. WE habitually publish outlines of news about patent injustice. While we’re not inherently against patents, there are some domains that oughtn’t have patents in them because collective goals are being impeded rather than advanced by them. We start this roundup with the eye-catching article about patents on marijuana. To quote Vice: “On August 4, 2015, US officials quietly made history by approving the first-ever patent for a plant containing significant amounts of THC, the main psychoactive ingredient in marijuana, according to the patent’s holders, their lawyers, and outside experts in intellectual property law. One has to wonder how this relates to already-controversial patents on plants, putting aside the controversy surrounding legalisation of cannabis. 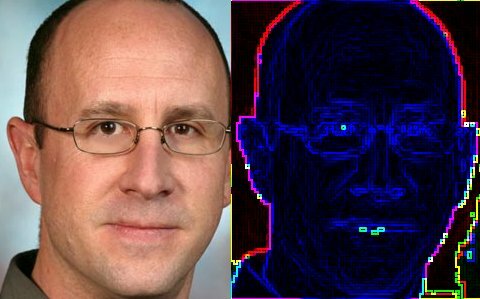 An article by Terry Ludlow, CEO at Chipworks, recently referred to patents as something one “develops” (rather than applies for after actually developing something), which probably highlights a common misconception about what patents actually are (many conflate them with physical objects — things that have had patents applied to them). We don’t generally regard HP to be so bad on the patent front, either because it doesn’t attack companies using patents all that often or because it doesn’t lobby for software patents as often as companies like GE, Intel, Microsoft, and IBM (comparable in terms of scale). Johnson’s assertion that maintaining high patent quality is important should be commended. Later today we are going to show that Microsoft and IBM push in the opposite direction. It’s important to understand that what we have here is a patent company (or troll) acting as a satellite for another — an increasingly-common loophole to ensure no reactionary lawsuits. It’s an anti-deterrence tactic. This discredits the theory of “defensive” patents; how can patents be used defensively against entities which have no products at all? As the headline of this article from a trolls expert put it, “Apple pays $25M to a university—and the patent troll it cut a deal with” (summarised accurately and succinctly). So one can see that Marathon Patent Group is nothing but a new (ish) kind of troll. That’s what NewEgg has been doing. It can at least afford to. Militarisation of the world’s patent systems isn’t new; a lot of weapons manufacturers want a monopoly on ‘innovative’ new ways to kill people. A new article, “The Pentagon Turns to Intellectual Property to Protect U.S. Military Dominance”, wants us to believe that there’s something to be cheered for because ‘we’ (readers), supposedly as US citizens, are ‘protected’ by the patent system, which keeps ‘our’ military strong, as if rival armies (like China’s or Russia’s) will bow to some patent offices abroad and pay patent royalties to corporations that try to nuke their nation (if it wasn’t for mutually-assured destruction and other forms of deterrence). Well, actually, some patents may be good (we don’t deny this), but their breadth and number made them so shallow and impractical to keep track of. The excesses/abundance/saturations reduce productivity, waste resources, generally slow down development in various fields, and ultimately help nobody but patent lawyers and their largest clients (usually global monopolists). A Web site of lawyers in Indiana has just said “Indiana patent law delaying demand letters” and an Australian law firm celebrates “Growth, Growth & More Growth” in so-called ‘IP’ (growth for patent lawyers, not for the economy). The Australian, a paper owned by News Corp. (‘Conservative’), plays along with this type of agenda, having just published “Innovators miss the bus on filing home patents”. The Financial Express, in the mean time, calls “a market-oriented approach (corporate-leaning) to patent box regime. Because hey, who cares what the general public thinks, right? IT has been quite a while since we last saw such an ugly propaganda effort by Microsoft. Looking carefully at where the propaganda started or came from, we can be pretty sure that Microsoft’s disgraceful and unethical PR agencies are not passive. They are exploiting non-news and something of little significance to make it sound as though something pretty big is happening. They want the public to believe, yet again, that Munich’s migration (which saved a lot of money and was defended by officials repeatedly) is a failure. Microsoft did this many times before and even tried using bribes, bogus ‘reports’, proxy attacks etc. We covered dozens of examples over the years. Munich is dangerous to Microsoft because it sets an example; it shows how a whole city can completely abandon Microsoft and do a lot better thereafter, not just for privacy/autonomy/security reasons but also for technical reasons, not to mention all the local jobs this creates (economic gain). Everything is related. People don’t compartmentalise their minds like this. Exactly, there is no news. There’s just some old opinion of one person. But don’t let facts get in Microsoft’s way. Here is the Microsoft-bribed Ed Bott (one of the worst Microsoft boosters, but one who enjoys a platform of CBS and therefore enters “news” aggregation) disseminating the propaganda to a large audience. He has not even corrected his errors yet. The propaganda remains standing the editors let it be. For now, we are done collecting examples of this Microsoft propaganda output. It’s not news and it’s not about Munich. A deputy mayor is not Munich and his opinion does not have so much weight. He is not a technical person. It is rather clear that a lot the propaganda about Munich originally came to the English-speaking press from people like Ed Bott (backed by Microsoft) and brought to wider attention in the CBS propaganda network. Prior to that it was possible to find incorrect reports (probably not bad translations) which dared not say that Microsoft is bribing officials again (Microsoft already tried to pay Munich to abandon its Free software project). First of all dear, The Verge, it is *not* a Chromebook Killer, because you need to understand what a Chromebook is before calling a low-end laptop with an OS no one wants as a killer laptop. Now coming back to the news: HP is supposedly working on a low-cost Windows 8.1 laptop which will be sold for $199. It seems like ‘netbook v2′ strategy of Microsoft to hurt Linux. This time it’s not going to happen as we have a heavyweight like Google and not smaller Canonical. Munich city council demonstrated to the world that an organisation employing thousands could ditch Windows and move to Linux and free software. When the project finished late last year about 15,000 staff at the German authority had been migrated to using Limux, a custom-version of Ubuntu, and OpenOffice. But is the council’s move to open source about to be scrapped in favour or returning to Microsoft? No says the council, in spite of numerous reports to the contrary. Suggestions the council has decided to back away from Linux are wrong, according to council spokesman Stefan Hauf. He said the council’s recently elected mayor Dieter Reiter has instead simply commissioned a report into the future IT system for the council. “The new mayor has asked the administration to gather the facts so we can decide and make a proposal for the city council how to proceed in future,” he said. The study, being conducted by internal IT staff at the council, will consider which operating systems and software packages – both proprietary and open source – would best satisfy this criteria. The study is not, as has been reported, solely focused around the question of whether to drop Limux and move back to Windows, he said. HP is a scam when it comes to “open source” support. While their hardware is quite Linux-friendly (my wife uses an HP laptop), their extreme/radical policy of self interest in the server room and on the desktop continues to show. Their recent openwashing campaign, which I have campaigned against (they are claiming to invest in FOSS only for marketing purposes, just like IBM), should not impress too easily. What comes to mind is HP’s negative lobbying against FOSS and stories we have heard from Perens (former HP manager for FOSS). It’s all just a charade, intended for the most part to increase sales but also to attract talented staff (recruitment). HP’s history has been quite well documented in this site for nearly 8 years of its existence. HP is an ally of Microsoft and many of its managers these days are people who worked for Microsoft. In order to keep selling GNU/Linux servers (hardware with GNU/Linux sells better) HP is trying to maintain an image that would appeal to geeks. However, it’s all fake, it’s a façade. Perens proves it now in part by repeating what he wrote some years ago . The stuff Perens says about SCO and HP is dynamite, revealing a huge extent of collusion against GNU/Linux. HP was well aware of it. …just about every PR firm offers to help “manage the perception of your company in online communities” these days. What do you think that means? Astroturfing Slashdot, Youtube, etc. In my various manangement positions it’s been offered to me. Indeed, some of the companies offer to create negative publicity for your competition that way – HP had a publicity firm for its Linux activities that told us it would do that when we wanted. I never asked them to do so and hope nobody else did either. This stuff is just standard these days. You’ve got to expect it. There are some new examples of what seems like AstroTurfing by Microsoft. Some Microsoft lies (a placement) got posted in “CFO World”. It is an evidence-free denial of Microsoft collusion against public. This is how propaganda works. This very much shows whose bed HP is in. The company, despite trying top appear as a backer of FOSS, is very much serving Microsoft’s agenda, still. HP is pretending. Yes, HP only pretends to be a friend of GNU/Linux in order to drive server sales to geeks. We know this also because not too long ago HP lobbied against GNU/Linux in Europe (amid national migrations), saying it would be more expensive than Windows. We covered this several times back then and also showed in over a dozen posts that around the same time HP was appointing Microsoft executives to executive positions at HP. The same happened in Amazon, but that’s another story. Perens: At some point I accumulated enough credit for achievements that it became unnecessary to fight over it . But I am hardly without flaws. Most visible might be that I want to get things done and don’t mind trampling others if that’s what it takes. I try to keep my ego down enough so that I get through those narrow doors. 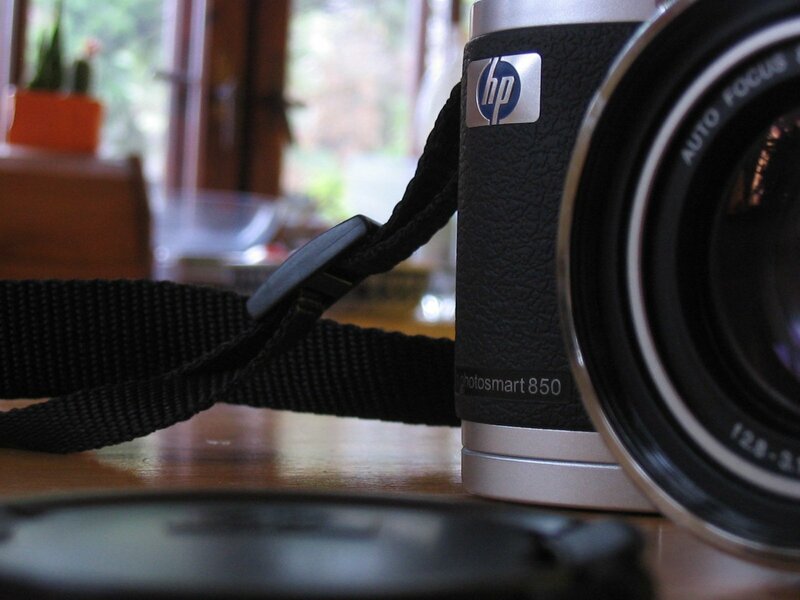 The worst problems I saw at HP had little to do with Open Source. What I remember most was the sadness. There were and are many smart people there, and so many of us were conscious that the company was in a sort of death spiral and that we couldn’t do anything about it. The “pretexting” scandal was to the discredit of the board, the general counsel actually took the 5th in front of Congress on national television! Carly (the CEO) asked all of the employees to take a voluntary pay cut in the same month that she and other Board officers sold tens of Millions of dollars of HP stock. I remember my boss (a Section Manager, now the CTO) announcing at a meeting that an employee had gotten a “Reinvention Memo”. That meant lay-off, a sarcastic re-framing of HP’s “Reinvent” motto that showed how even upper managers like him were in despair. There was a series of ill-advised acquisitions of second-best or declining companies that HP failed to turn around, and then sold for cents on the dollar two years after acquiring them. The Compaq merger put the company at the very top of a business with vanishingly-small margins. There was one really bad day that I guess is safe to talk about now, more than 10 years later, because the information is already in the public and thus no longer subject to NDA: Microsoft showed HP their plans to sue the Open Source projects for the Linux Kernel, Samba, Sendmail, and a list of other projects. Someone immediately shot me an HP VP’s memo recounting that meeting and concluding that we should back off of Open Source before the lawsuits started. When I passed it to my boss, I was told to keep it quiet. But I was hired to be an Open Source community leader first, and an HP officer second, and keeping quiet about that meant betraying the Open Source developer community. I just hated that and it poisoned my involvement with HP. Microsoft eventually used SCO as a proxy to achieve what it disclosed to HP that day. I’d been warned long before that happened, and could do nothing until SCO announced their damaging but ultimately unsuccessful jihad against Linux. What I think is worth remembering about HP is that it was once the great tech company that people wanted to work for, as Apple or Google might be for many today. I think a lot of what made it great left with Agilent. The Test and Measurement business was a low-volume, high-margin business that required lots of too-highly-paid old smart people who worked in expensive labs in Palo Alto, California. That became the most costly place to do anything largely due to HP’s own success. But Test and Measurement was also the brain-trust of the company, and lent its creativity to all of HP’s other aspects. So we lost a lot, I think, when Agilent was spun off of HP. HP’s problem regarding Open Source and Linux was that systems running Linux competed with other HP lines running HP-UX or Microsoft, and HP was structured as Organizational Silos. Each line had its own sales-people, and different lines competed with each other for the same customer. HP-9000 folks were always complaining because Linux undercut HP-UX and thus HP-9000, as were folks who sold Microsoft Windows systems based on x86. If I said anything in the press about Open Source or Linux, a customer would ask one of those single-line sales-people about it, and it would come back to my boss as a complaint rather than a sales opportunity. HP was always to some extent in Microsoft’s pocket, although they were also aware that Microsoft had screwed them and would continue to do so. HP de-emphasized further development of the HP 9000 hardware because Microsoft had told them in the late 80′s that they were soon to have an enterprise-quality NT. HP believed it, but MS failed to deliver for a decade. That lost HP Billions while Sun Microsystems took the engineering workstation market from HP. The HP officer who made that decision of course went on to be a Microsoft executive. What we did achieve at HP was a good process for deciding what to do with Open Source when individual opportunities came up. If you wanted to incorporate Open Source in a product, or you had a business reason to Open Source something, we resolved the legal issues, the community issues, we even handled some security aspects and achieved a reasonable level of reuse. That could all be achieved by middle managers. So, everybody in the company knew that it was OK to use Open Source, but there was a process you had to go through. It wasn’t particularly expensive, it did sometimes sink multiple days of some engineer in doing paperwork, but that’s just due diligence and we ended up on a better legal footing when we used Open Source than otherwise. There were things we decided not to Open Source because there was no good business reason for doing so. We weren’t UNICEF, so there had to be a business reason for everything. There were times when legacy customers would have gained benefit if we brought one of HP’s nine legacy operating systems to Open Source, but untangling the proprietary software that originated with third parties from the rest was too difficult. There were a few times when it was decided not to Open Source a legacy product because we were afraid that IBM might use it to sell their hardware against ours. Once that happened with a system that had only 5000 existing customers, and it would have been better for the customers for HP to open it but the decision – not mine – was not to do so. I’ve since helped other companies start their own internal Open Source Process, and still do so today. What we never achieved within HP, what I never had the power to do, was: to get HP to completely stand behind any innovative product regardless of what that meant for old-line products, to make innovation the #1 job of the company, and to grow a brand-new company from the old one every year that they were in business. They needed to embrace disruptive technologies as a pioneer rather than have the disruption done to HP by competitors. I think they tried to kill the Silo organizational structure after I left, I don’t know how successful that was. People should not be taking HP’s claims at face value. Realising what the cash cows are, HP is trying to sell as many servers as possible (many will use GNU/Linux), so it tries to appeal to system administrators while quietly spreading Microsoft’s anti-GNU/Linux FUD [1, 2] to derail government migrations to GNU/Linux. Perhaps the inefficiently of Windows helps sell more such servers (for the same task). Either way, HP sure is suffering from the decline of Microsoft’s desktop empire, but publicly HP wants us to think that “Microsoft Is At War With Its OEM Partners” (such as HP). More “sock puppetry,” calls it iophk, saying that “Microsoft Hilf is still inside HP, Ray Ozzie is still on the board, so this is just noise.” There are more such examples, including Vice Presidents. HP is gradually becoming somewhat of a proxy to Microsoft — a bit like Nokia. 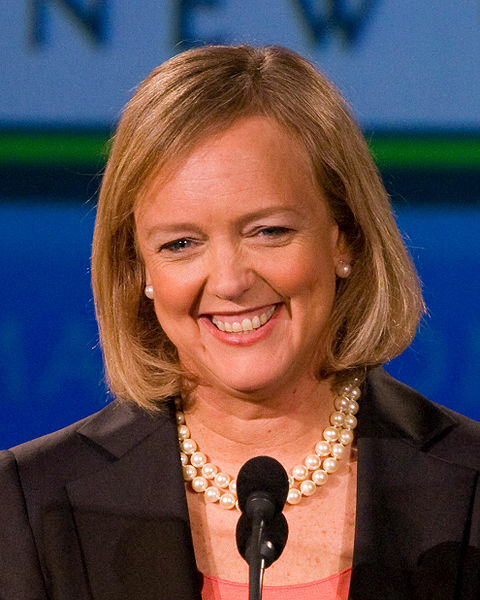 APPARENTLY NOT CONTENT with making her employees draw lots or arm-wrestle for desks by banning telecommuting, HP CEO Meg Whitman has decided to let loose the hounds on Microsoft, declaring that it and Intel have changed from being “partners to outright competitors”. HP is still using x86 and Windows, so how are Intel and Microsoft competitors really? Sheer nonsense. HP, a massive company in the desktops and servers sectors (and back doors facilitator [1, 2]), has already had some Microsoft executives occupy key positions in recent years (Ozzie is a recent example). Remember this when HP is rationalising FOSS-hostile decisions inside the company. HP recently collaborated in Microsoft’s anti-GNU/Linux FUD [1, 2] and based on this reported it hired Microsoft’s anti-Linux and pro-patents, fear-mongering bully Bill Hilf [1, 2]. The conflict of interest is clear because this man pushed hard for Windows on servers and patent tax on GNU/Linux servers. Several years ago he was probably the most hated guy (alongside Ballmer) to have come from Microsoft, as viewed by the GNU/Linux community. We really ought to learn from experience the threat of Microsoft moles and entryism. Let’s also recall the case of Nokia, where Elop’s involvement now starts to smell like fraud. Nokia’s board of directors seems caught in a tragicomedy of epic proportions. The latest twist is Finland’s largest newspaper claiming that Nokia made a false statement about CEO’s bonus package last Friday. Pressed by Finnish and international media last week, chairman Siilasmaa had claimed then that the bonus structure of Stephen Elop’s contract in 2010 was “essentially the same” as the one the previous CEO had received. But the largest daily of the country, “Helsingin Sanomat”, decided to dig into SEC filings to investigate the matter. By early Tuesday morning, the newspaper had uncovered evidence that Nokia’s board had made fundamental changes in Elop’s contract compared to his predecessors. HP has betrayed people’s trust, not just because it helps Microsoft suppress Free software adoption in the German government [1, 2] but also because its hardware has remotely-accessible back doors. Never again should you trust hardware from HP. It wasn’t news to most of us in the FOSS world that Microsoft was one of the companies shoveling information over to the NSA’s project PRISM. As much as we’d like, we can’t fault them any more than anyone else in that sordid affair. Only Yahoo comes out with any degree of redemption, since they at least bothered to go to court to try to stop the No-Such-Agency guys. Nor were many of us surprised to discover Microsoft was making it easy for U.S. spooks to monitor traffic on Skype. That news probably damaged the folks in Redmond a little more than the plain vanilla NSA/PRISM story, but there was still some wiggle room for Ballmer. It started before Microsoft’s ownership. My people hardly knew what was going on. We’ll fix it. Yadda. Yadda. Yadda. The latest news though, which so far seems to have little to do with the NSA scandal but plenty to do with espionage, might be a Windows breaker. Ballmer & Friends might not be able to squirm their way out of this, especially if the commercial GNU/Linux players get in gear and get moving.